We live in a world where people are obese with using days, saving minutes and trying to find more hours in a day. Although each of us has all the time, but there are few of us who think we have enough time. Did we come to realize that all the gold of the world cannot buy time, but time can buy the gold of the whole world? Time is essential to life, if life is to be what it is meant to be. Nearly all great men have been haunted by the sense of the shortness of time and the uncertainty of time. If we have to buy time, would there be any difference in the way we would spend it? Would you use the minutes, hours and days of your life wisely? Of course, we can’t put a price tag on the minutes, hours we possess. They are given to us freely as a gift by God. We must be thankful that our Lord doesn’t sell time. Time is like a vapor that appears for a short period of time and vanishes away. Seize the opportunity that is given to you today. Make the best of your time. As we grow older and time grows even shorter, there are certain things which we should always remember in spending this precious commodity called time. · First and foremost we must always have time to pray, for a prayerful man is a powerful man. Prayer keeps us in touch with God. It is a vital part of our life. Man cannot live successfully without prayer. He cannot get along without God’s help. Above all, for your inspiration, never use your time in seeking to possess material things that time can erode, but heartily seek for the things that time cannot wash away. For your soul, you must always get angry at the right time and never be angry at the wrong time. For your reward, never get tired of doing good for in the due time, we will reap if we faint not. 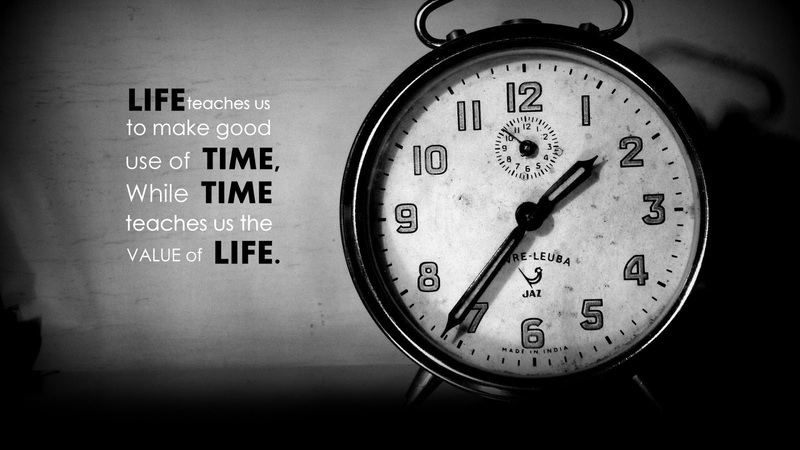 Friends, ladies and gentlemen, we are accountable to God for the gift of time bestowed on us. The best time to do the right thing is NOW! The best time to depart from evil is NOW! The best time to give love is NOW! The best time to ask and give forgiveness is NOW! Share your gift without delay! THE GIFT OF TIME. It is lifting the soul above the noise of the earth, beyond the clamor of everyday events, to the throne of God. · Second....Always finish your work on or before the time. Never leave things unfinished. Things half done is worse than things undone. · Third.....Carefully choose what you are going to do, for there is no longer time to do everything, do things that really matter. · Fourth...We must speak at the right time. There comes a time when it is too late to speak and the damage was already done. Prevention is better than cure. Speak what the time needs. A word spoken at the wrong time can do much harm than good. Think twice before you speak. · Fifth....Invest time in strengthening your friendships. Friendship is essential to our well-being. · Sixth....We can’t change the way we’ve spent our time in the past. We can make the most out of it. We can’t keep time, but we can invest it. · Seventh ....Live one day at a time. Trusting that God is there caring and sustaining us in every moment of the day. What is prayer? Prayer is like a diamond. It has many facets. A prayer is standing in the presence of God. So, have always time to pray in your heart.